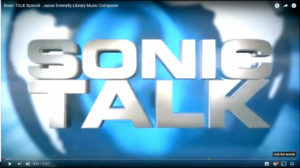 Nick Batt host of Sonic Talk asked me to be a guest on his weekly videocast. I had a lot of fun with Nick chatting it up about library music production. I hope you enjoy this episode and find it inspiring and helpful.